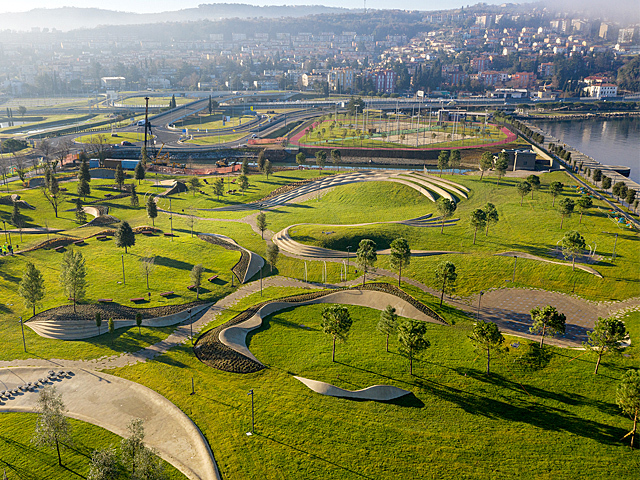 A modular classroom initiative in Spain demonstrates how parks and recreation areas can be utilised as educational environments to provide new ways to activate the public space domain. 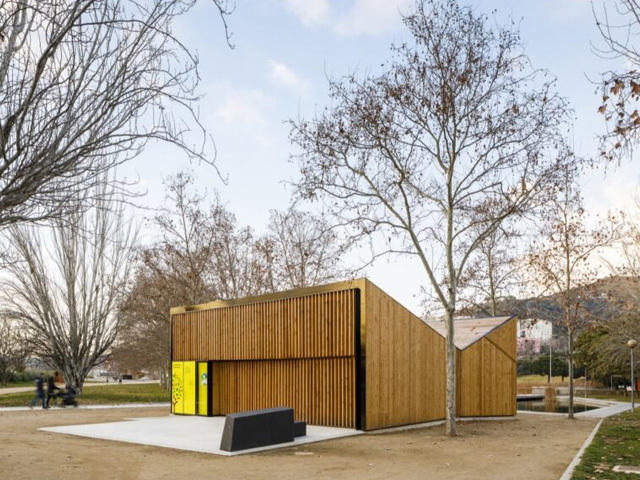 Flexible, transportable and cost-efficient, the modular classrooms created by local design studio Baena Casamor Arquitectes BCQ offer a sustainable new way to activate Barcelona’s public parks. 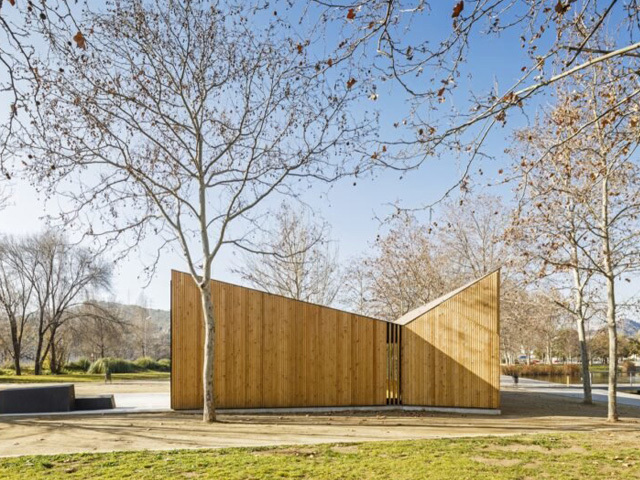 Inspired by timber cabins, the prefabricated pop-up classroom is a multipurpose space sheathed in wood and crafted with a focus on environmental education for school groups and families. 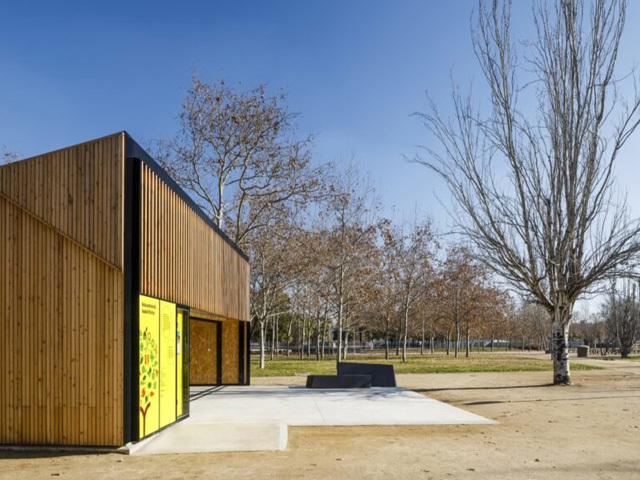 The architects recently installed a classroom prototype, AULA K, in the Parc de Can Zam with a built area of nearly 1200 square feet. 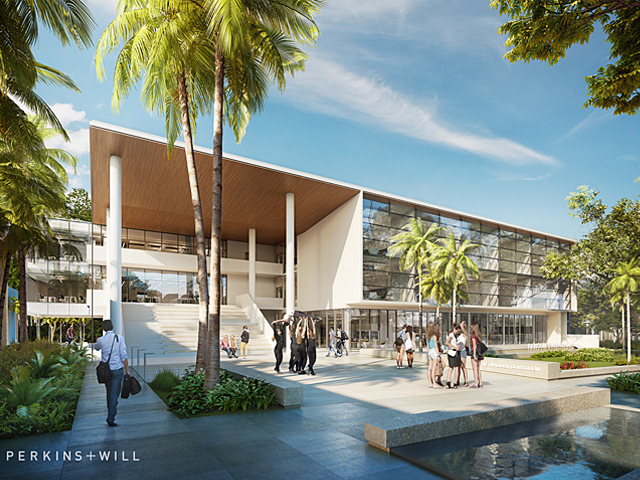 To create flexibility in the design, the classrooms can comprise any combination and configuration of three modules — a service module, classroom module and pergola module — so as to best meet the needs of each site. 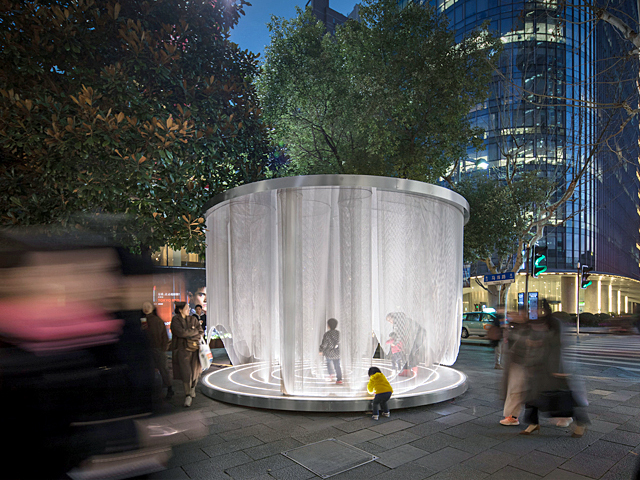 The modular architecture is prefabricated in a factory and can be installed on site in just a few weeks. 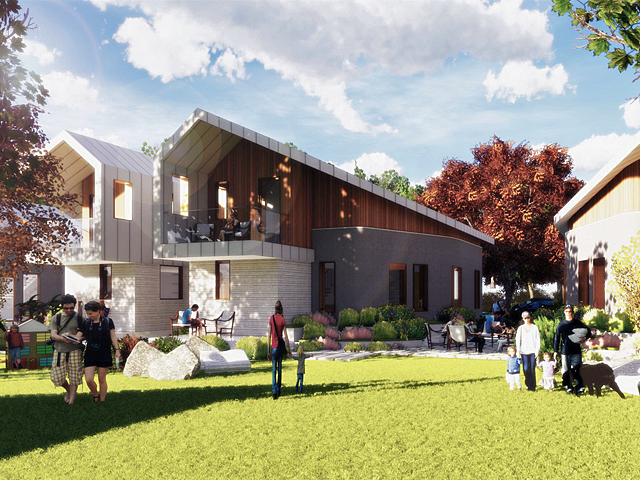 The prototype at Parc de Can Zam consists of the service and classroom modules and is topped with sloped roofs optimized for solar panel installation and rainwater collection. 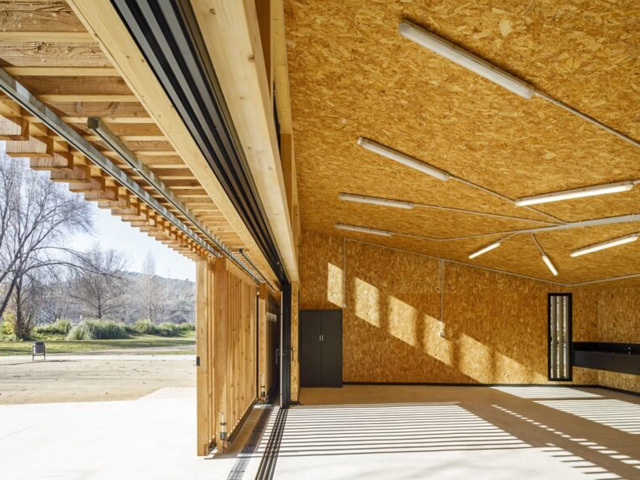 The use of prefabrication helps reduce the time and cost of producing the classrooms, which share a uniform wooden envelope and a large opening on the facade to let in natural light and views of nature. 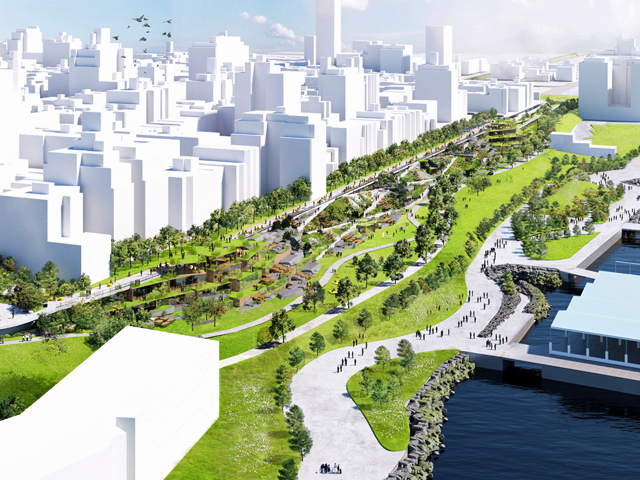 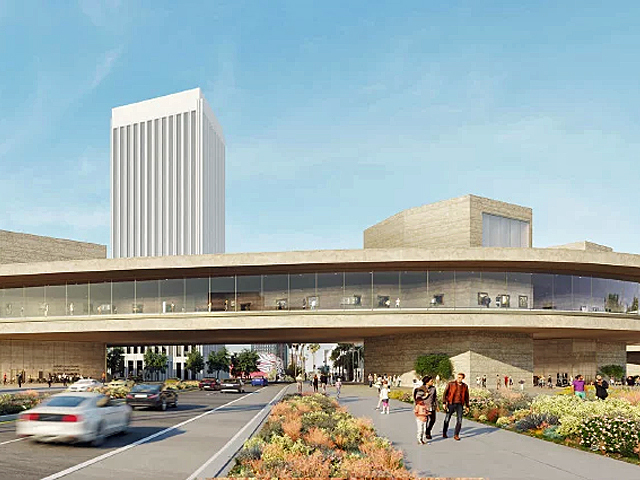 The classrooms can be modified to generate energy, return rainwater to underground aquifers, reuse stormwater runoff as garden irrigation or provide habitat for local fauna.